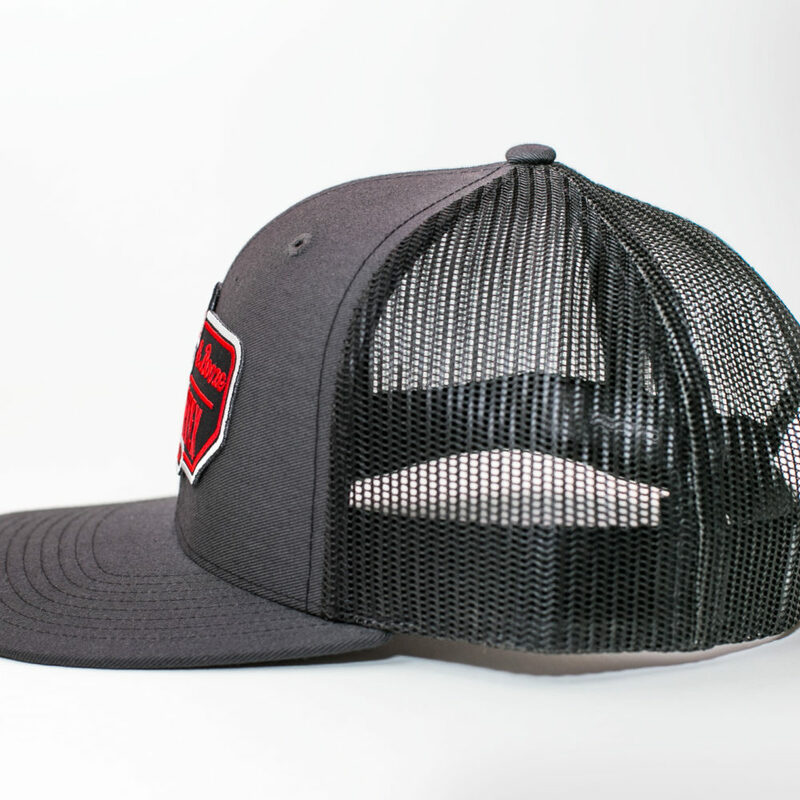 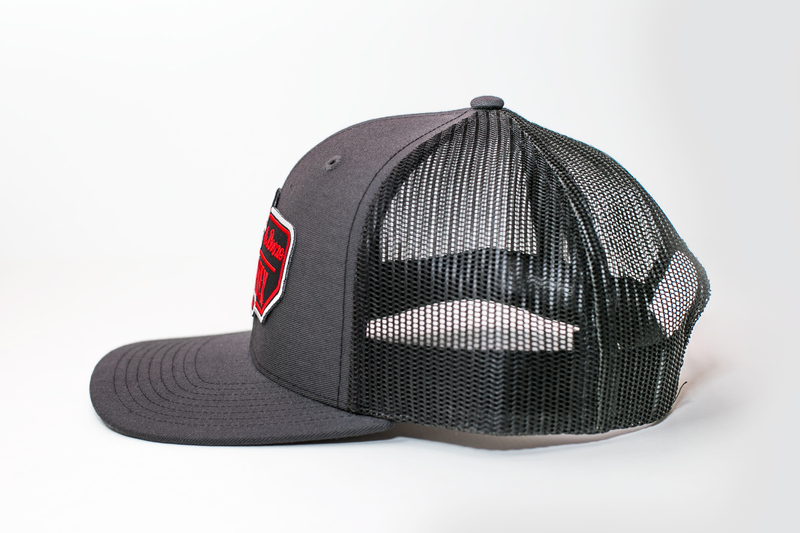 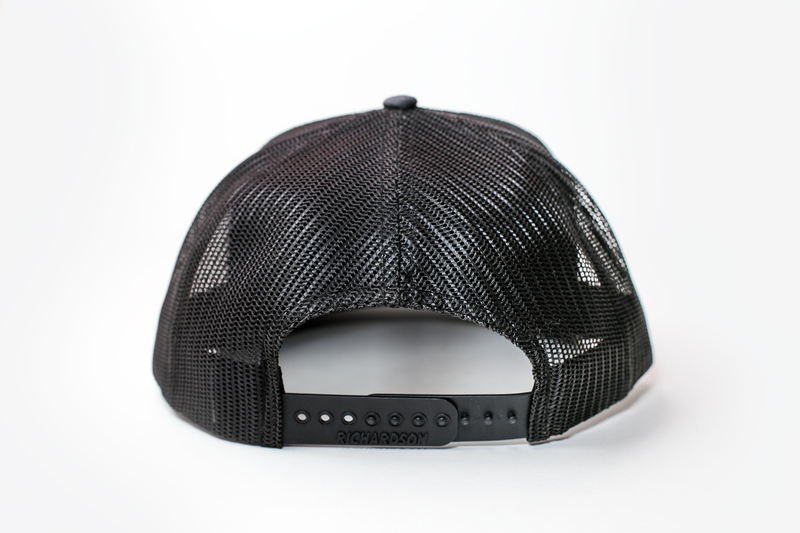 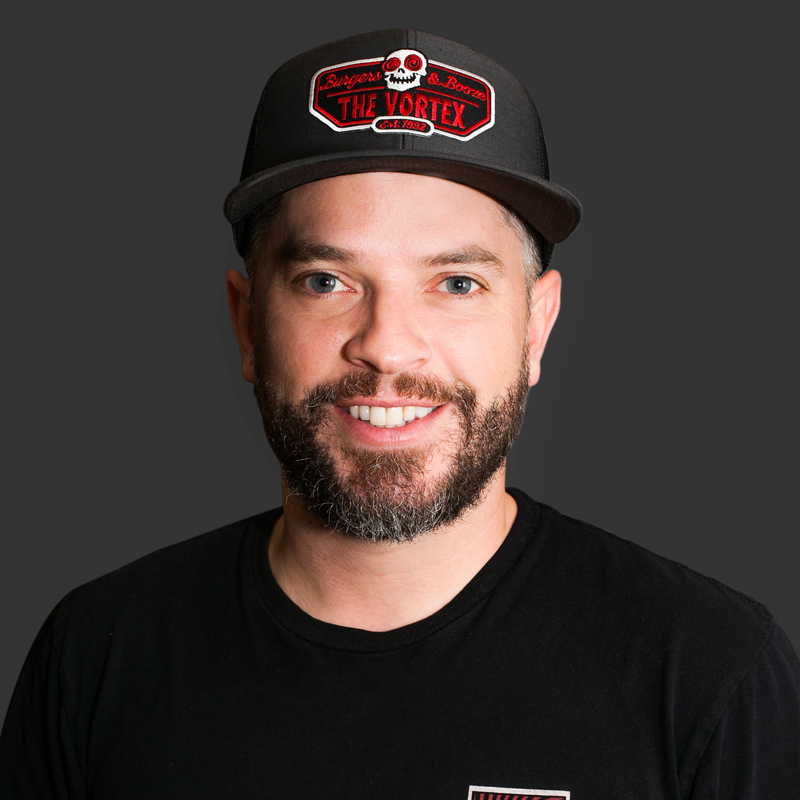 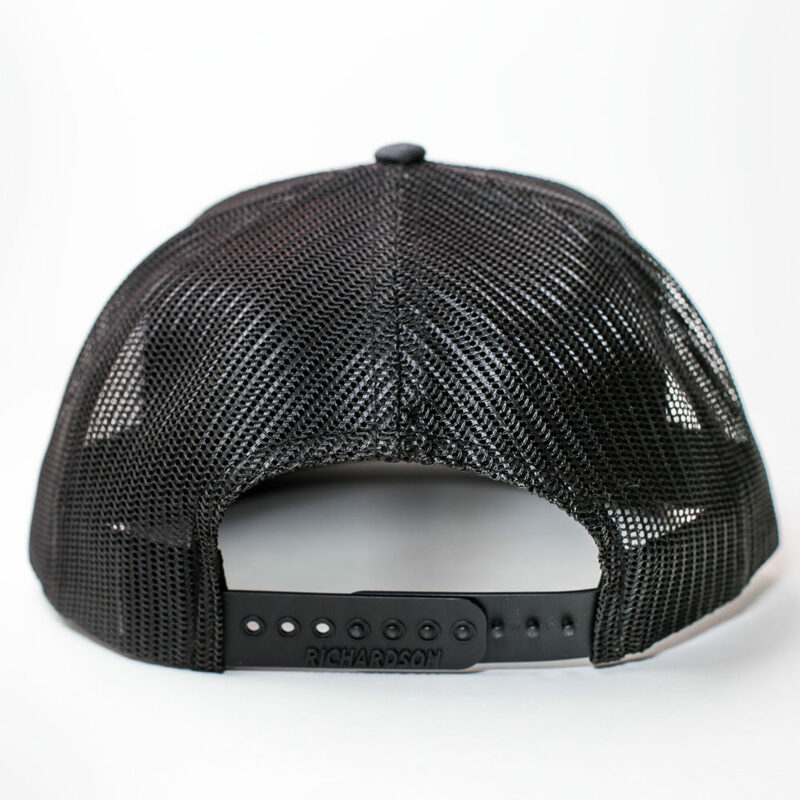 This adjustable two-tone hat has a dark grey front panel and bill, and incorporates black mesh on the back. 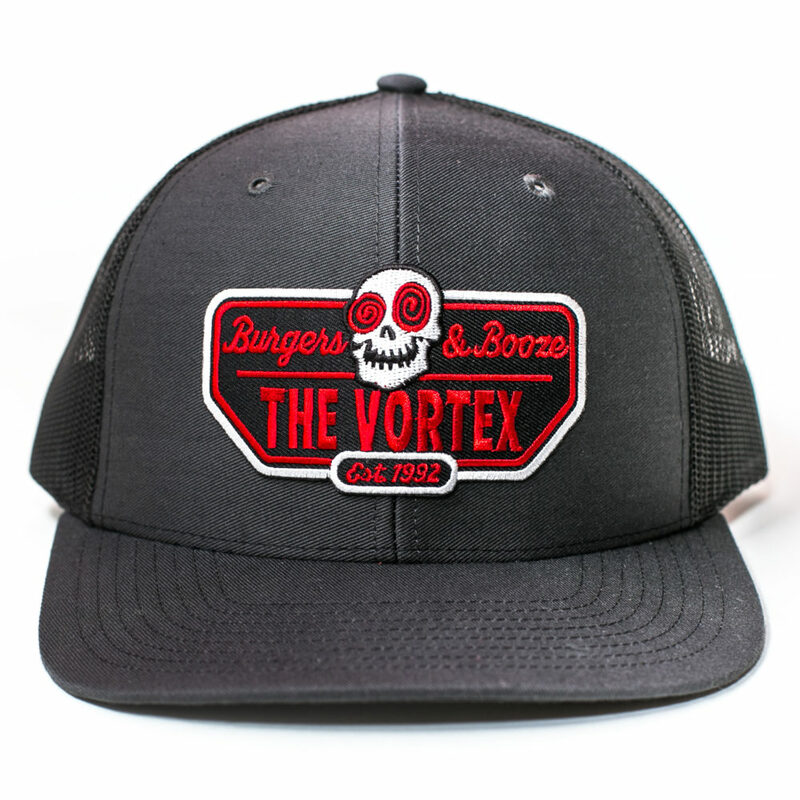 It features a cool “Burgers & Booze” Vortex logo patch on the front. 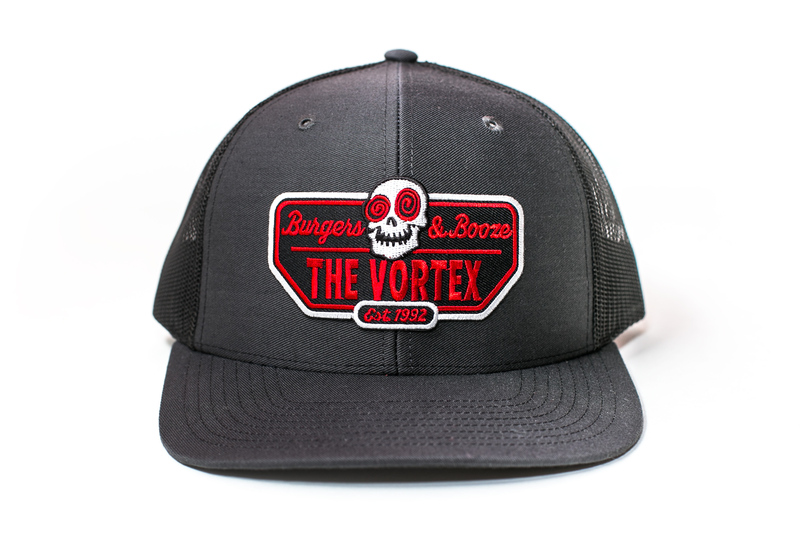 Rednecks, hipsters and all kinds of other Vortex patrons seem to love this trucker hat. 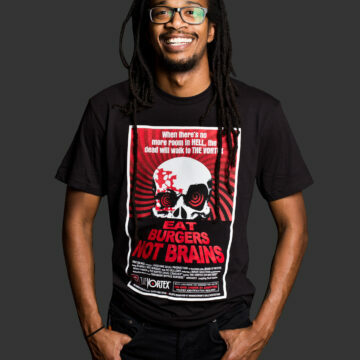 OWNERSHIP NOTICE: The Vortex Bar & Grill retains the copyright, trademark and other applicable ownership rights to all materials that appear on our website, our social media sites and inside of our premises, including, but not limited to, menu content, company policies and all other original text, artwork and intellectual property. 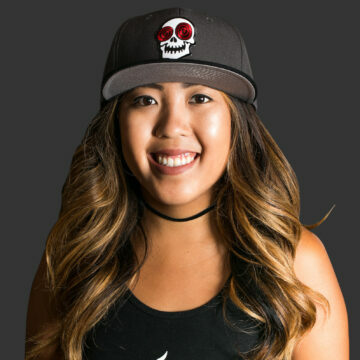 ©1992-PRESENT. 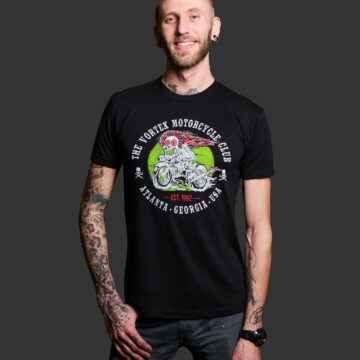 "The Vortex Bar & Grill," and Laughing Skull logo are Federally Registered trademarks of Big-Time Marketing, Inc. ALL RIGHTS RESERVED.